A real estate professional marketing and selling in the Southwest Florida area for 30 years. Past experience includes residential development sales, marketing and advertising for large developers. Actively involved with several Boards and held positions as Board of Director at local and state levels. 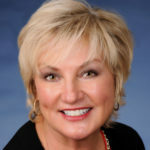 She and her husband, Greg own the Better Homes and Gardens Real Estate franchise for Collier and Lee County in Florida. Kathy is the managing broker and President of the company.